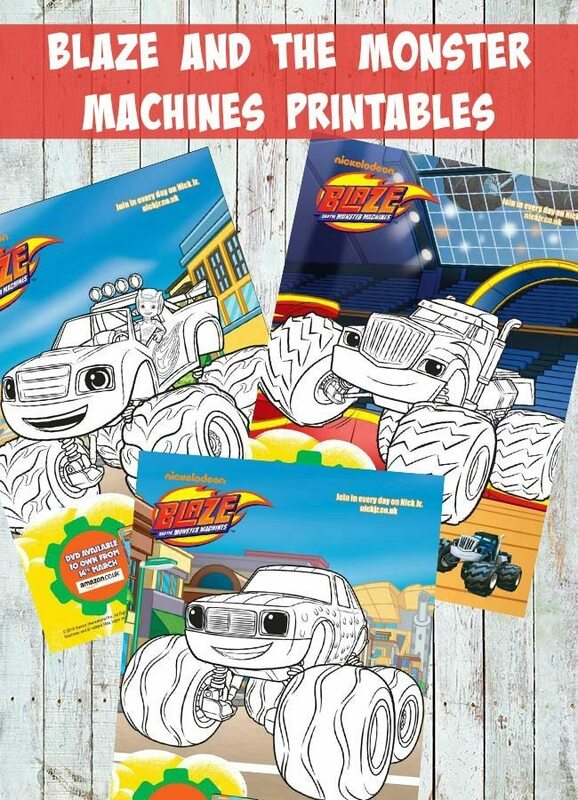 We have another great printable pack for your little ones to be excited about, especially if they love trucks as these Blaze and the Monster Machines printables have a whole bunch of cool monster trucks. 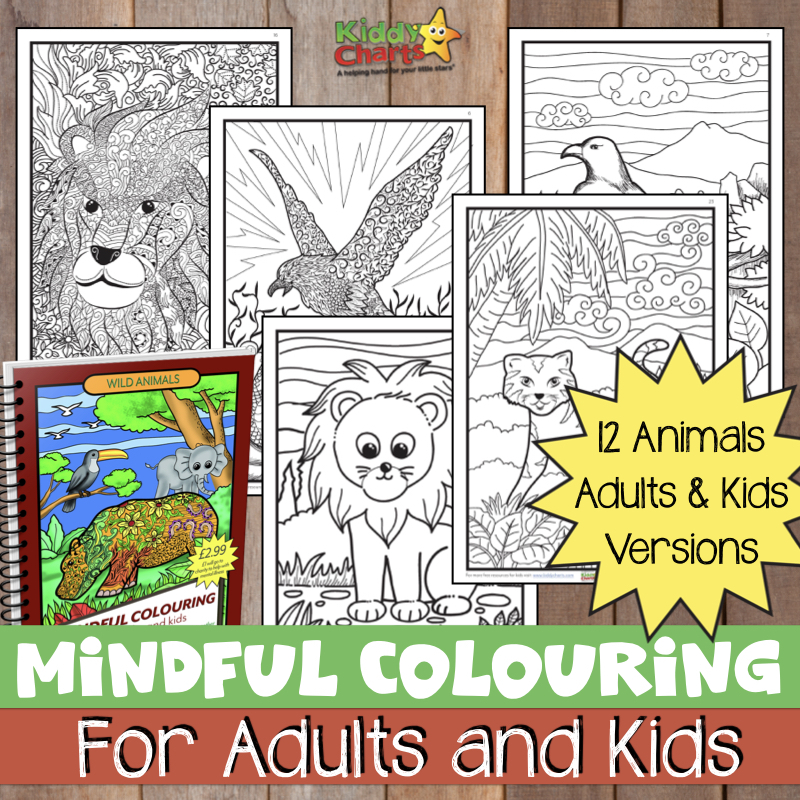 We’ve got 3 pretty exciting coloring pages for your kids to colour in. Don’t these monster machines look fabulous? Which one is your kids favorite? This fun show is mainly for preschoolers, however, they certainly know a lot of stuff about Science, Technology, Engineering and Math (STEM). 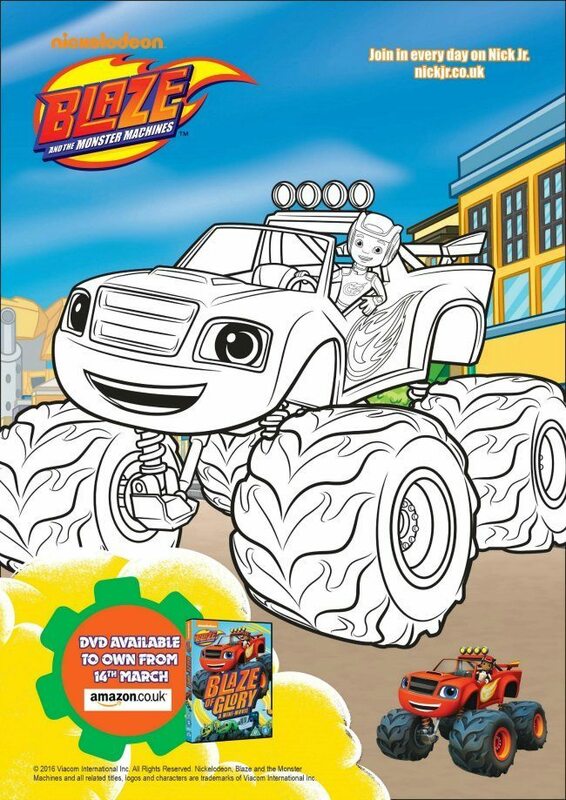 Blaze is everyone’s friend and quite the town hero and when it comes to fixing things around Axle City, Blaze and his best friend, AJ, get plenty dirty. 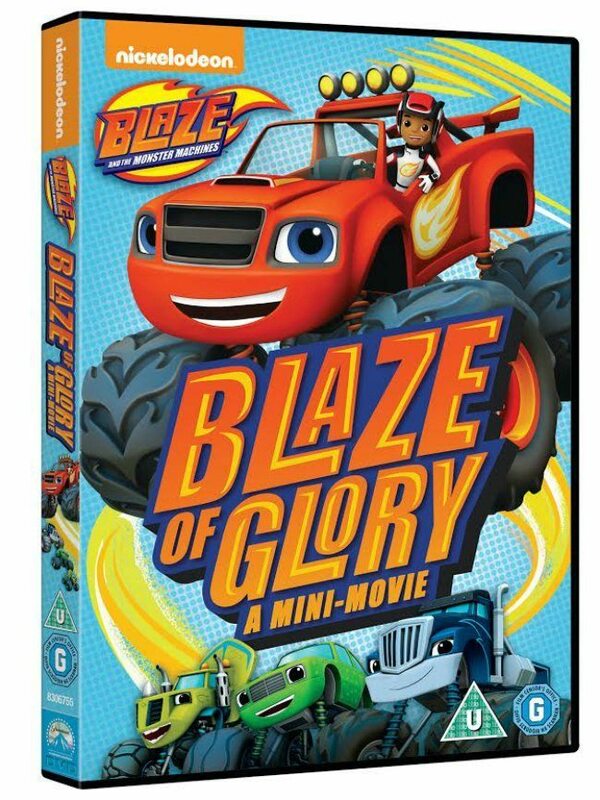 As a bonus, one lucky person will receive a Blaze and the Monster Machine: Blaze of Glory DVD through our Universal Pictures (UK) giveaway. There is something to learn and to laugh about in each of the original episodes. Together, Blaze, AJ and the team discover how things work and smooth out problems the scientific way. Have you signed up to receive the KiddyCharts Newsletter? You should! For those who are viewing KiddyCharts for the first time, please note it’s an exciting opportunity to get some free stuff. You don’t want to miss one of our great free printables. We always have something to keep the kids entertained. To enter in the Blaze and the Monster Machine: Blaze of Glory Giveaway, simply full out all the information in the widget below. We have lots of other giveaways running on the site too, so do go and check them out as well. Now that you’re all set with the entry, don’t forget to show your kindness and share your exclusive link to your family members and friends. ; you might even get extra entries if you do. The giveaway closes on Thursday 7th April, 2016 and is for UK residents only. Please do see the terms and conditions of KiddyCharts Giveaways on our T&C page for more information about how it all works. Blaze because he’s the main man! Blaze is my daughter’s favourite. My son is mad on Crusher because he’s so naughty and always cheating. He likes to be able to tell him off. We like Stripes with his clever retractable claws. we love Blaze, just because!! My two boys love Blaze because they think he is cool and love his colour! I love your flower printables because my girls have decorated our fridge with them! My little boy loves Blaze because he’s Cool! our 2 little boys love Blaze. thanks for the chance .